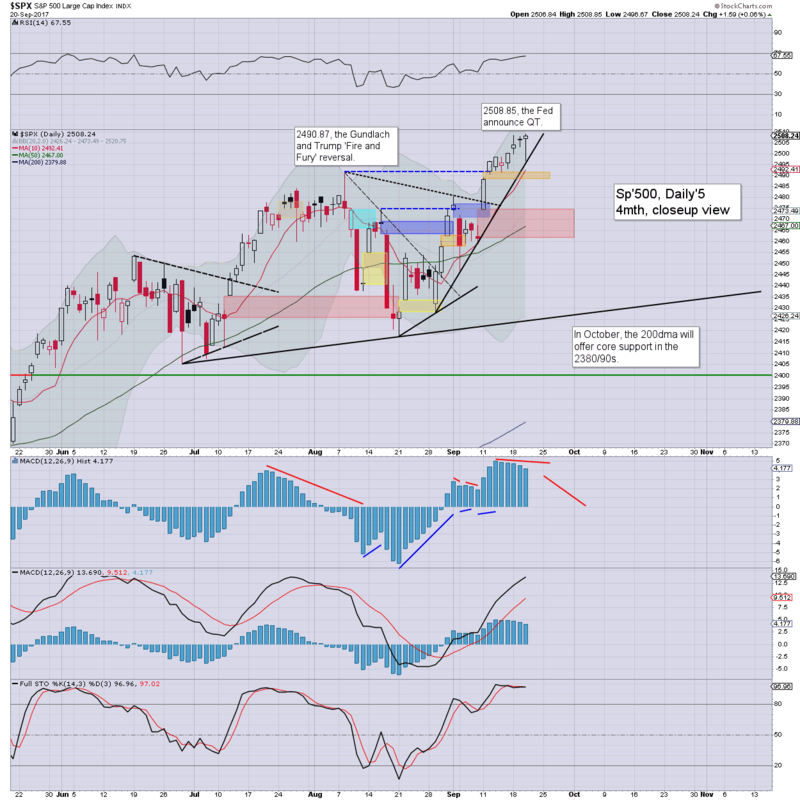 US equity indexes closed rather mixed, sp +1pt at 2508. The two leaders - Trans/R2K, settled higher by 1.5% and 0.3% respectively. 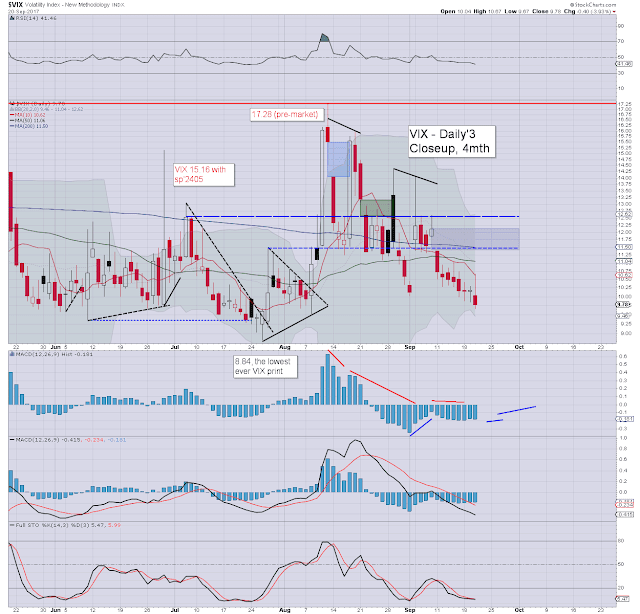 VIX settled -3.9% at 9.78. 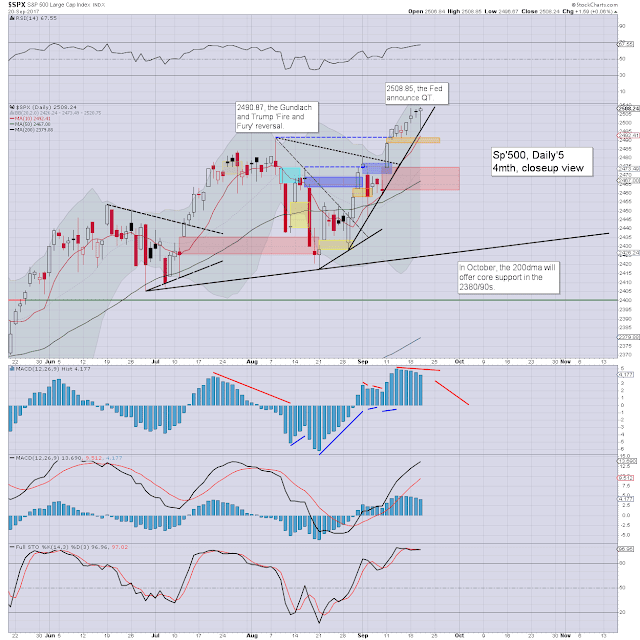 Near term outlook offers initial weakness to the 2474/61 gap zone. US equities opened in minor chop mode, with the sp'500, dow, and NYSE comp' breaking notable (if fractional) new historic highs. The market saw a moderate downward swing with the Fed press release, but there was a distinct bounce into the close, especially within the Transports. 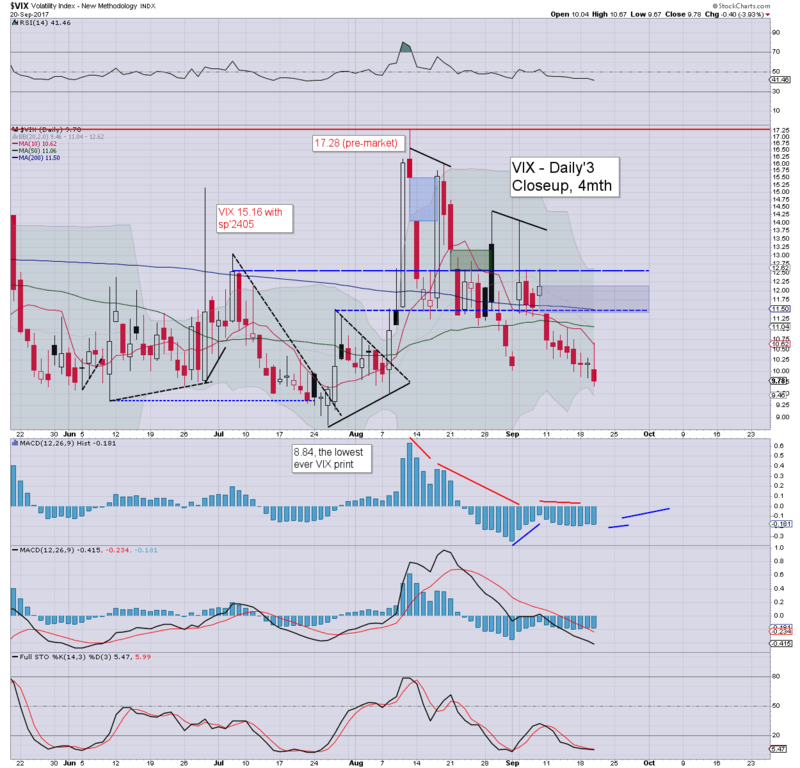 Market volatility remained broadly subdued, with the VIX notably settling in the 9s, the lowest close since late July. Outlook into October remains unchanged. A 4-5% main market correction is due, which would take most indexes to near their respective 200dmas. That would likely equate to VIX near the key 20 threshold... if briefly. The Fed balance sheet reduction plan - as outlined some months ago, is set to begin in October. Things start slow at just $10bn a month, but after a year, it will total $50bn a month, which will amount to a very significant annual QT of $600bn. 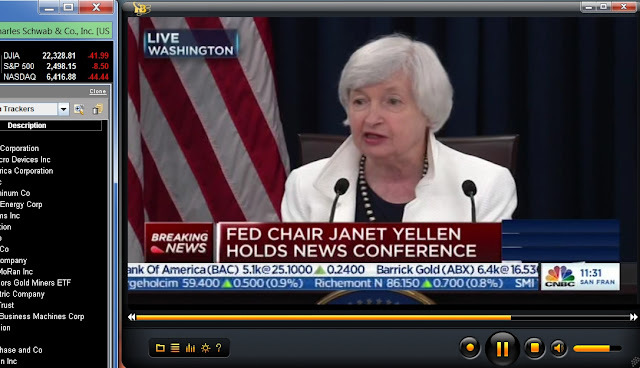 Further, another rate hike is highly probable at the December 13th FOMC. Frankly, the equity/econ bulls should be very pleased with how things are proceeding.